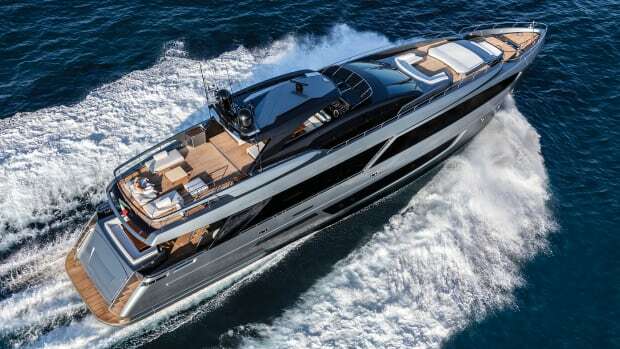 As an encore to the 2005 debut of its 115-foot flagship, Athena, the Italian builder Riva introduces its newest offering, the 92-foot Duchessa Fly. 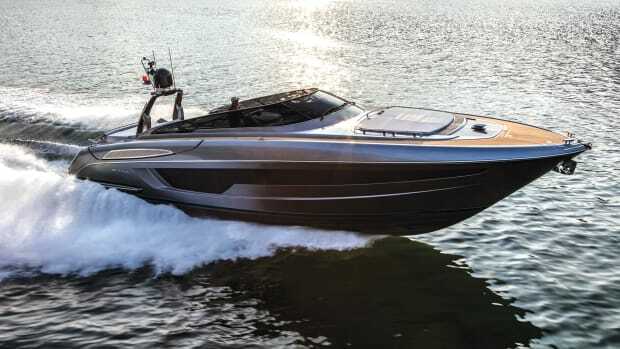 Filling a gap between Athena and the 85 Opera Super, she&apos;s arguably the sleekest and most stylish of Riva&apos;s decidedly upscale large offerings. Her sweeping, elegant profile is accentuated by the brazenly aggressive thrust of her hardtop. 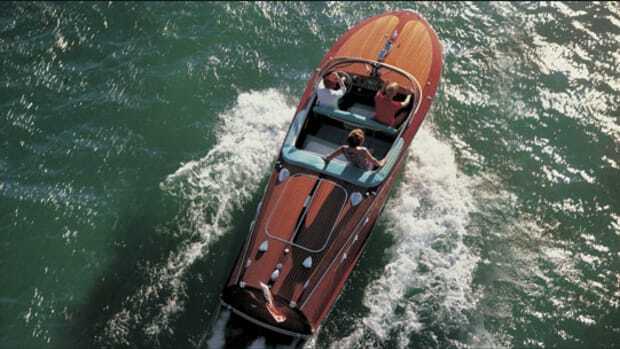 Not just a styling element, the fiberglass hardtop shelters the centerline helm station forward, a teak dinette with room for eight on fore- and aft-facing settees, and a hot tub roomy enough for several guests to enjoy. Farther aft, sun worshippers can sprawl out on a big sunpad or just amble about while enjoying snacks or cold beverages from the wet bar and grill on either side. 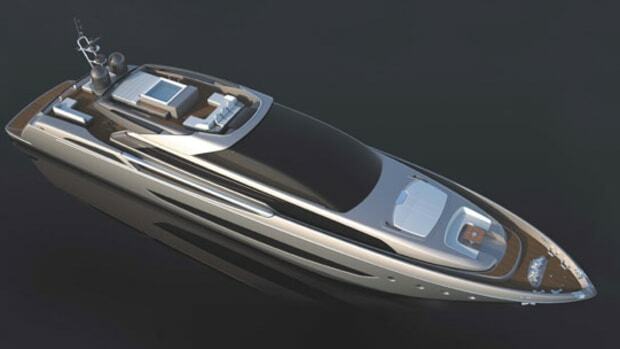 And even with all those amenities, there&apos;s room on the bridge deck to stow a 4.2-meter (13&apos;9") tender. But more than such features, it&apos;s the clean, crisp styling that creates a sophisticated yet inviting allure. Similarly chic styling sets the tone throughout her interior. 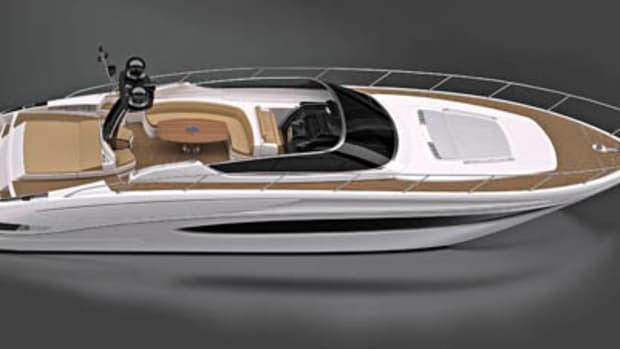 Furniture and bulkheads in the saloon are done in warm shades of American walnut embellished with hand-sewn leather inserts, contrasting nicely with white varnished wooden soles in the seating area and white stone flooring in the dining area. To make the effect even more striking, the interior is bathed in natural sunlight that floods through large windows sculpted into the deckhouse sides. 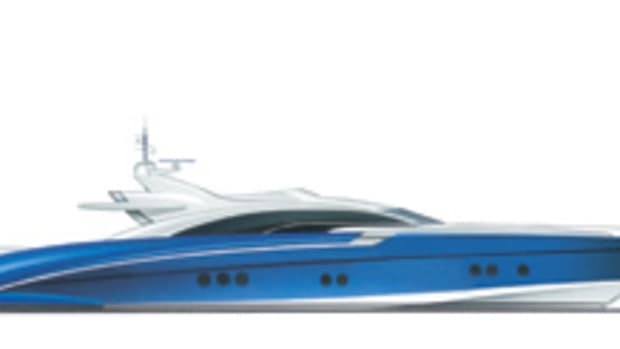 So that guests will have maximum privacy, the galley and crew quarters are tucked into the bow, down a few steps from the semiraised pilothouse. 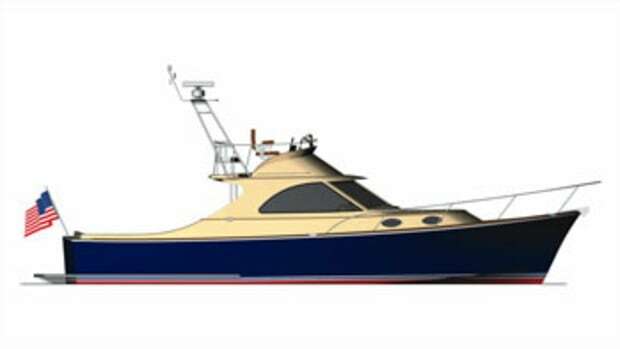 The crew also has a separate dinette, direct access to decks on either side, and access to the pilothouse and bridge deck, all without intruding on the owner&apos;s and guest areas. Guest staterooms are on the lower deck, again with the aim of maximizing privacy. The amidships owner&apos;s suite extends full-beam, its sleeping area buffered from the machinery spaces by a full-width his-and-her head. 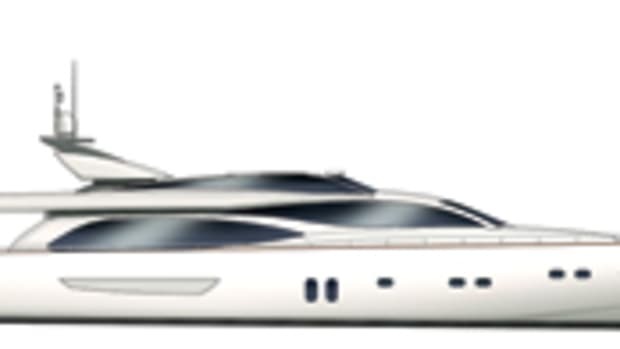 Closets and en suite heads are similarly positioned to serve as buffers between three additional guest staterooms, including a large VIP suite forward. 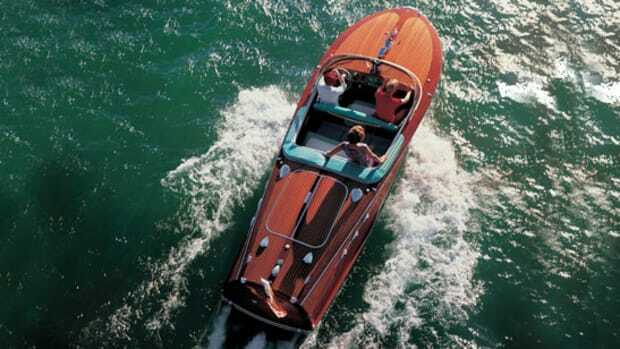 For more information on Riva Yachts, including contact information, click here.